James Marshall “Jimi” Hendrix (November 27, 1942 – September 18, 1970) was one of the most influential and revolutionary musicians ever. Considered by many to be one of the greatest guitarists of all time, his creativity and music have influenced countless musicians and artists throughout the years after his passing. His untimely death on September 18, 1970 at age 27 was a shock to the world. At the time of his death Jimi Hendrix did not have a will. His father James “Al” Hendrix assumed control of the Hendrix estate. When James “Al” Hendrix passed away in 2002, he left the Hendrix estate to Jimi’s adopted sister Janie Hendrix. According to some estimates, the Hendrix estate was worth close to 80 million dollars at the time James passed away. Jimi’s brother, Leon Hendrix apparently got almost nothing from James. A bitter and complex estate battle followed. It is interesting to note that Jimi Hendrix has sold hundreds of thousands of albums and other merchandise posthumously. It seems like he keeps getting more and more famous after his death. Sales from his music and albums continue to this day and the revenue earned by the Hendrix estate appears to be increasing. 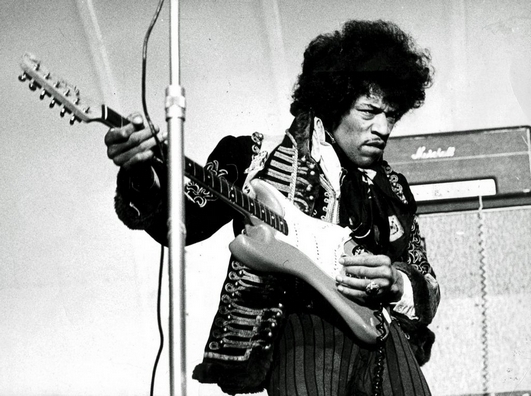 The most recent development in the Hendrix estate dispute involves damages related to the sale of merchandise associated with Jimi Hendrix’ name. Experience Hendrix LLC which owns the rights to the Hendrix estate (controlled by Janie Hendrix) and HendrixLicensing.com (controlled by Leon Hendrix) recently settled a dispute without disclosing the amount of the settlement. It seems like this settlement is the conclusion of a lengthy and costly estate dispute. The Hendrix estate dispute illustrates the importance of having a proper estate plan in place. Although many people avoid and postpone preparing a will due to the emotions associated with planning for their own demise, it is important to have a proper succession plan in place. This is especially true in situations where the estate has significant assets. If a proper estate plan is not in place it can result in serious disputes and significant legal costs. The Hendrix estate dispute also illustrates that it may be advantageous to settle estate litigation matters before trial. The legal costs and time associated with a trial can be significant. Settling an estate dispute out of Court also protects the privacy of the parties involved and ensures that the terms of the settlement are not disclosed. A trial is public and a judgment may expose all kinds of embarrassing details about the parties involved in litigation. As the popularity of Jimi Hendrix increases, it will be interesting to see if other legal issues will emerge from the Hendrix estate dispute. For more updates on the Jimi Hendrix estate click here.